I have only recently discovered Liane Moriarty novels and can see myself working my way through them all. I have listened to the superb audible version of Big Little Lies, which I will review in the future, and borrowed the hardcover version of The Husband's Secret from the library. 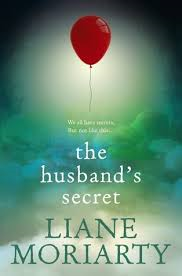 The Husband's Secret is the sort of novel I would love to choose for a long haul flight. 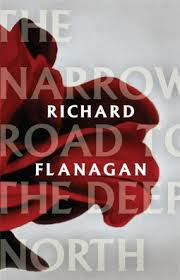 It is undemanding but engaging and satisfying. Set in suburban middle class Australia, it explores domestic secrets. Incidentally so does Big Little Lies. The secret in The Husband's Seret is a doozey and Cecilia, the wife, like Pandora can't resist opening the box, in this case a letter written by her husband many years before, and finding out what the secret is. And so the driver of the novel is that once known, knowledge can't be unknown, no matter how much we might wish it to be so. Moriarty has a real knack for constructing her plots with the interweaving lives of her characters, without taxing the readers suspension of disbelief. She also has a gift for dialogue; her characters, especially the female characters, are brought to life through their talk and interior musings. I like this book because the voices are familiar. This book is about humdrum ordinary people trying to deal with relationships, raising children, the tedium of the everyday, and loss. Moriarty honours the failings and strength of people trying to negotiate all of the stresses and expectations of this modern world. She prises open the domestic and reveals the secrets and heart ache often lying just below the surface; secrets that largely remain hidden and unknown.